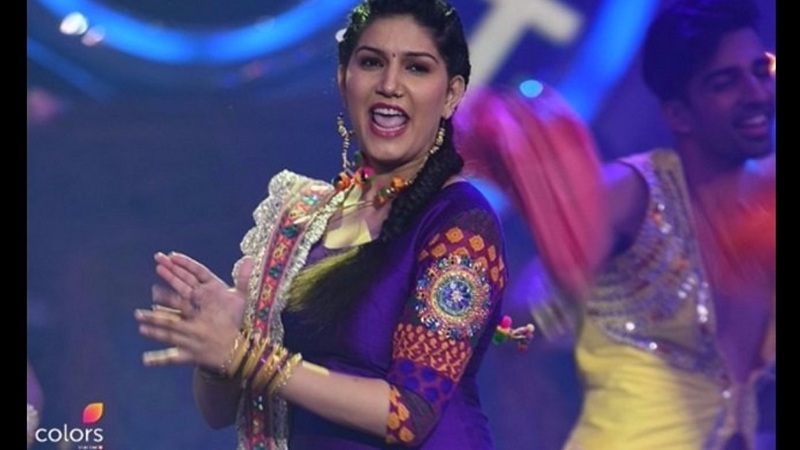 After being nominated for seven consecutive weeks, Haryanvi singer and dancer Sapna Chaudhary finally bid adieu to the Bigg Boss 11 house in a very dramatic way. Sapna, along with the other two nominated contestants — Hina Khan and Priyank Sharma — had to sit on a rotating chair in the garden area, and as the rotation stopped, Sapna had been evicted. “I am not surprised, I had a feeling that I will be evicted. Every time I got saved, I was sure I won’t go home so soon. But this time it was different; somehow I had this strong feeling that I would be evicted,” said Sapna. Sapna seemed to have a spark but fizzled out soon and there were stories about her taking it easy — probably because she was too confident about her popularity. “I don’t know why people are accusing me of being lethargic on the show. I lived there for two months and it isn’t easy to survive. It is very difficult to be put up with different personalities coming from such diverse backgrounds and thought processes. I enjoyed the journey but there have been so many times when I wanted to give up. But yes, I have learnt numerable valuable lessons in these few weeks,” said Sapna, whose dance moves were much appreciated by the fellow contestants and visiting celebrities. Sapna enjoys huge support from the North. Doesn’t that make her feel she got evicted too soon? “Arre, what are you saying, I was nominated every week and yet I could stay on for so long. I’m the winner. I was very much prepared that this time it would be me. We chose to save Luv Tyagi and nominated ourselves. So it was obvious one of us would have to go. No regrets about it,” she said. In fact, Salman Khan had stated during the ‘Weekend Ka Vaar’ episode that Team Hina had made the mistake of putting a strong and deserving contestant, who had a chance of winning the title, in danger for the sake of a weak contestant like Luv. Salman also mentioned that contestants need to play a smarter game and not sacrifice themselves for their friends. Sapna doesn’t want to comment on who stands a strong chance to win Bigg Boss 11, but she doesn’t think twice before saying that Puneesh Sharma and Bandgi Kalra don’t deserve to win the show. “I don’t want to comment on whether or not their relationship is fake but the way they are handling it and showing it off on national television is certainly not right,” said Sapna. Puneesh, who was initially a close ally of Sapna, soon had differences with her and the issues between the two reached a tipping point when Sapna felt that Puneesh had commented on her profession and spoken ill about her shows. Even though Salman told her that she had misunderstood, Sapna wanted to see the footage of Puneesh’s comments. No wonder, Bandgi expressed her happiness when Sapna was evicted. However, now there seem to be many avenues that have opened up for Sapna, who took up dancing to support her family. She has previously attempted suicide, but is determined today to live a better life. Sapna will soon be seen making her Bollywood debut with an item number called ‘Love Bite’.